This post is in honor of the 40th Anniversary month of the 1976 Judgment of Paris tasting, and is an excerpt from my book: Call of the Vine: Exploring Ten Famous Vineyards of Napa and Sonoma. 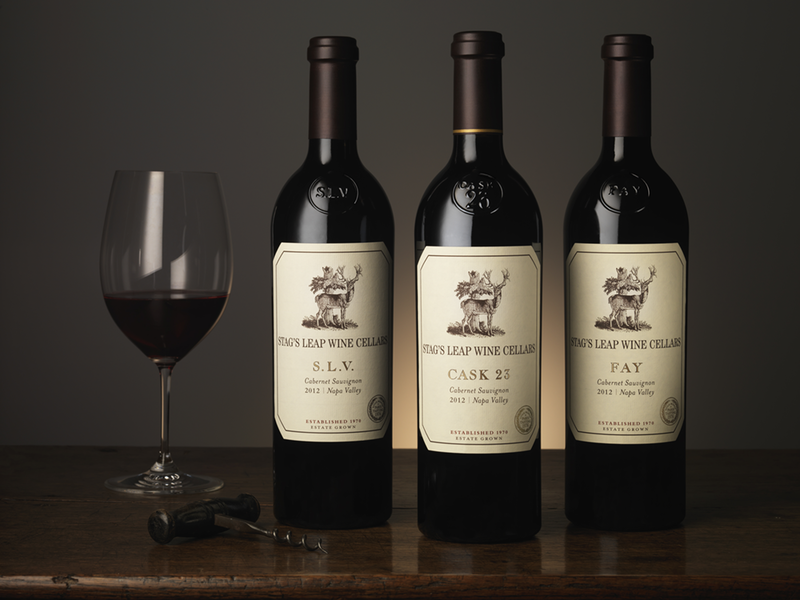 After touring Stag's Leap Vineyard, I was honored to be able to taste the 2009 S.L.V. Cabernet Sauvignon, along with sister wine, FAY and the 2009 CASK23, a blend of the two famous vineyards. The winemaker for the 2009 vintage was Nicki Pruss, a soft-spoken brunette with baby blue eyes and a passion for winemaking. She actually went to podiatry school and became a foot doctor, but switched to wine when she was “bit by the wine bug,” on a biking trip through the vineyards of France. 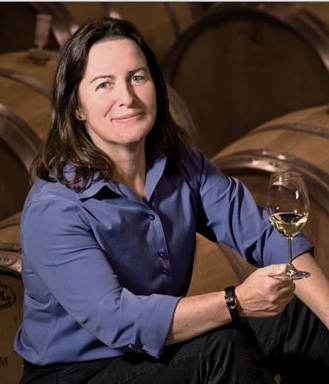 A native Californian, she started her winemaker training at both Napa Valley College and UC-Davis Extension, and then answered an advertisement to be a harvest intern at Stag’s Leap Wine Cellars in 1998. Nicki’s strong science background and fascination for wine was appreciated by Warren Winiarksi, who was still working there at the time. He mentored her and after working for 7 years on the winemaking team, she was promoted to head winemaker in 2005. As I tasted the 2009 S.L.V., I detected clear signs of a cooler vintage in the glass. The wine was a deep red-black in color with a nose of forest floor and rich dark fruit. On the palate the tannins were huge and not yet well integrated, but would mellow out over time. There were notes of blackberry, coffee and complex herbs and spice, and the wine had a long lingering finish. This was a huge wine that needed more time in the bottle or a juicy char-grilled steak to help tame the massive tannins. The oak seemed well integrated, and Nicki said she used 84% new French oak for 20 months. The alcohol was moderate at only 13.5%. “The majority of the grapes in the bottle,” said Nicki, “came from Blocks 2 & 3 but at the wine’s core is Block 4 of S.L.V. where the oldest vines reside.” As I sipped the wine, I thought of the huge shaggy vines and it seemed fitting that they would produce such a powerful wine in a cooler year. 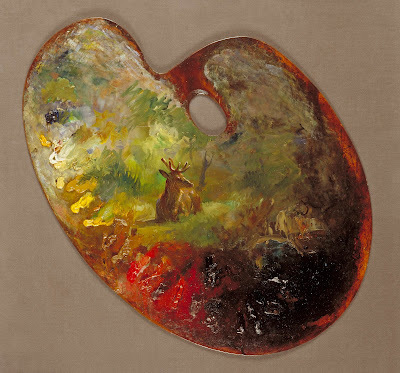 The Painter's Palate of S.L.V. “How do you feel about S.L.V. ?” I asked. As I sipped the wine, I had to agree with her. This was a wine that was designed to age, and had the grace and backbone to do so. Next I tasted the 2009 FAY, which was more of a dark red-purple in color, with a fruiter nose of both red and black fruit with a hint of violets. On the palate, the fruity notes became clearer, expressing themselves as cassis and raspberry with toast and vanilla. Most distinctive, however, were the velvety tannins that glided across my palate, highlighting their clay soil origins. FAY’s tannins did not attack my mouth, as did those of the young 2009 S.L.V. from volcanic soil. However, FAY’s finish was warmer due to a slighter higher alcohol of 14%. The 2009 FAY was aged for 19 months in 84% new French oak. CASK23 was actually started in 1974 when Andre Tchelistcheff was still consulting winemaker. During that harvest Andre noticed that one lot of the wine from S.L.V. was so unique and compelling that he thought it should be bottled separately. Therefore, he put it in a French oak Oval that was labeled CASK 23. 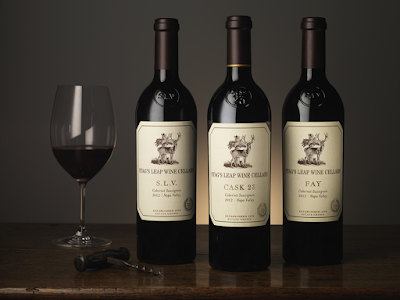 Over the years, wine from FAY was blended in, and today CASK23 is always a combination of both vineyards. The result is a harmonious mixture of the structure and power of S.L.V. married to the velvety richness and perfume of FAY. As I lifted the 2009 CASK23 to my nose, I was immediately overcome with the earthy perfume of violets. The wine was the same black-red color as S.L.V., but on the palate it exploded with rich black fruit, coffee, spice, and earthy notes. The level of complexity was quite high and the finish seemed to go on forever. Here the tannins were well integrated with toasty oak, and the wine seemed perfectly balanced. Nicki said there was a bit more oak – 90% - but it was also aged 20 months just like the S.L.V.. The wine in my glass was clear proof that blending two great vineyards can result in something truly incredible.